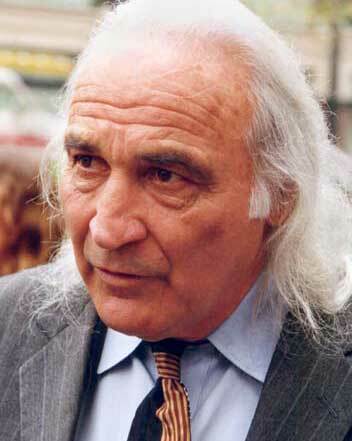 Judge Claudia Wilken admonished famed trial lawyer J. Tony Serra for improper conduct and ordered him and all members of the Judi Bari and Darryl Cherney legal team to stay away from the courthouse and environs at times when the jury is likely to be coming and going. The action took place at a brief but heated hearing May 28 on a defense motion seeking dismissal of the case and disciplinary action against Serra for allegedly attempting to improperly influence jury deliberations. Less than an hour after the end of the May 24 rally marking the 12th anniversary of the car bombing of Bari and Cherney, defense lawyers for the FBI and Oakland Police filed their motion alleging "gross misconduct affecting the jury" by Serra. He had spoken for 1 min. 40 sec. at the annual Judi Bari rally in the plaza outside the courthouse, but defense lawyers had staked out the courthouse door and claimed that some of the jurors heard Serra's words as they left for the day. Co-plaintiff Darryl Cherney called the motion "ludicrous," adding, "There are still a few curves and knuckle balls coming our way before this jury renders its verdict." Cherney said a permit for the rally was obtained a month in advance at a time when no one expected the jury would still be deliberating on the rally day. He said he had hoped the rally would also be a celebration of the end of the trial and a favorable verdict. Bari-Cherney legal team members Dennis Cunningham, Bill Simpich, Tony Serra, Bob Bloom and Ben Rosenfeld spoke for a total of ten minutes during the two-and-a-half-hour rally. Many other speakers and musicians -- including fiddlers Laurie Lewis and Morgan Fichter, folksinger Utah Phillips, and Merry Prankster clown Wavy Gravy -- gathered with a couple of hundred Bari supporters for the peaceful but noisy rally, which used a permitted public address system. Serra is a renowned San Francisco criminal defense lawyer with 40 years' experience during which he has handled approximately 800 jury trials. He said this is the first time he has been an attorney in the trial of a civil lawsuit. Longtime readers may recall the Monitor's coverage of the Bear Lincoln case, in which Serra obtained an acquittal for the Native American man accused of capital murder of a Mendocino County Deputy Sheriff on the Round Valley Indian Reservation in 1995. The motion accusing Serra said: "... as members of the jury exited the courthouse doors, Mr. Serra, using sound amplification equipment, loudly exclaimed that the assembled crowd ought to 'say a prayer for the jury' so that they would be 'objective' in their deliberations, and also noted that the evidence at trial indicated a deliberate plan by the FBI and OPD to violate plaintiffs' constitutional rights. Several jurors slowed and listened to Mr. Serra's presentation. Plaintiffs' counsel's actions were not accidental, and amount to an effort to influence the jury during their deliberations." "At the risk of going beyond the grey area, we say to those who have had eyes to see and ears to hear that we have proved that the FBI, with the willing assistance of the Oakland Police, falsely arrested and created false affidavits, and therefore illegally searched both Judi and Darryl, and history will record that we dominated in that evidence. The Monitor verified that Serra could not see the courthouse entrance from where he spoke, nor did he control the timing of his speech on the program. KPFA News reporter Bob Stern told the Monitor he had watched the jurors leaving the courthouse, and he said they did not slow or listen to Serra's speech as the motion alleged, but promptly left the area. The rally was held on the opposite side of a large plaza from the courthouse, and the loudspeakers were pointed away from it. There is a back exit from the courthouse, on the opposite side from the rally site, which could have been used to shield jurors from the rally if the defense had so requested. Instead, Stern said he saw defense attorneys Barghaan and Simmons come out of the courthouse and purposefully take up observer positions to watch the jurors leave. However, Judge Wilken apparently took the defense motion at face value, even though Serra said he never saw the jury nor did he have any idea that they had come out of the courthouse while he was speaking. He added that "The spirit of what I said was in no way inflammatory." The judge was not mollified when Serra read the transcript of his words into the record to show that he had said nothing improper. When Serra's co-counsel Bob Bloom argued that the rally was an annual event scheduled long in advance, that attorneys had a right of free speech to address supporters, and that Serra had said nothing that jurors hadn't heard him say in his closing argument, the judge angrily snapped, "Where do we conduct trials, Mr. Bloom? In the courtroom or out in the plaza?" Wilken said she was not prepared to declare a mistrial "at this point," but apparently reserved her decision until later, saying that it was possible that the verdict would make it unnecessary. She called the jury into the courtroom and told them that it was improper for attorneys to address jurors, particularly on the subject of the pending case, outside the courtroom. She told them to disregard any such comments or "anything you may have seen at that rally." When the jury had returned to the deliberation room, the judge ordered the whole plaintiffs' legal team to stay away from the Courthouse, the plaza in front, and even the Oakland City Center food court across the street at times when the jury may be arriving, leaving or taking lunch. The order includes all attorneys, paralegals, assistants, and associates. This was a measure sought by the defense motion as an alternative to dismissing the case. The defense legal team is not similarly restricted. Serra said it has long been his custom to quietly observe the jurors coming and going to see if he can divine what is happening in the jury room by their body language, whether they come and go singly or in groups, and whether they look happy or burdened.